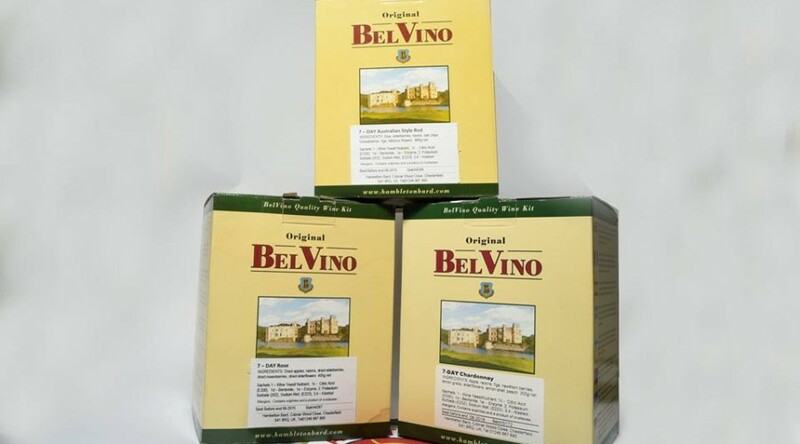 If you like a drop of red or maybe a glass of white,BelVino wine making kits use dried fruits, berries, and herbs to make really great tasting wines. With the addition of sugar and water, the process takes one week to complete. We recently made all three wine kits that we stock and found them all to be of a good standard and something we would thoroughly recommend to those who like a wine or two. I particularly like the Australian Red and found it to be full bodied with great oak aromas. Give them a try, you will be pleasantly surprised! Full bodied Australian style red. This wine kit contains sloe, elderberries, raisins, oak chips, gooseberries, figs and hibiscus flowers. Makes 23 litres. Medium dry Chardonnay style white with the typical hint of smokiness. Contains apple, raisins, figs, hawthorn berries, lemon grass, elderflowers, lemon shell, and peach. Makes 23 litres.